Vora Dental Care is a team of skilled dental professionals committed to creating a positive, comforting visit for patients. Comprised of experienced hygienists, dental technicians, friendly administrators, and lead by Dr. Vora, each and every point of contact at our office has one mission – an outstanding patient experience. 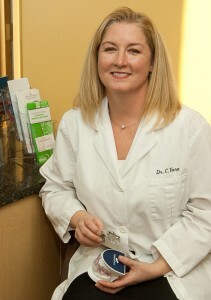 Dr. Carina Vora comes from a long line of dental professionals. For several years, she practiced along side her grandfather, a certified dental technician, and her father, a board-certified prosthodontist. In 1996, Dr. Vora earned her undergraduate degree in nursing from Fairfield University. She went on to earn a dental degree with honors from Columbia University in 2000, and graduated as a member of the Omicron Kappa Upsilon Honor Society. Following dental school, Dr. Vora completed a one-year general practice residency at St. Francis Hospital in Hartford. Dr Vora has been an active member of the American Association of Dental Sleep Medicine since 2005 and has achieved Diplomate status from the American Board of Dental Sleep Medicine in 2013 in the field of Dental Sleep Medicine. During her career, Carina Vora, DDS, also taught as a clinical instructor at Columbia University, and served on the University’s Dental Admissions Committee. She currently is on the executive board for the New London County Dental Society.